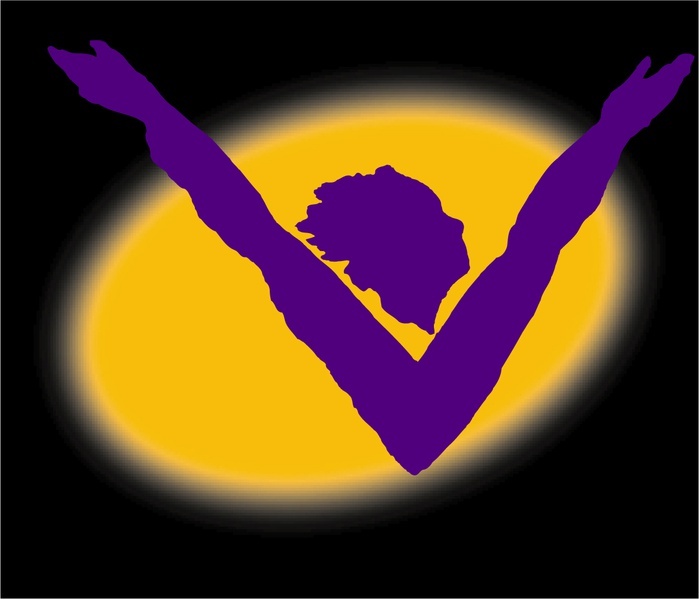 “The New Victory Theater restores 42nd Street with the vitality of kids performances.” —New York Times. 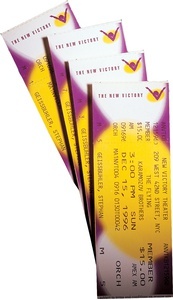 The New Victory Theater is New York’s first Broadway theater for kids and families. In the new symbol, created in collaboration with New York City school children, a yellow spotlight forms the backdrop to upraised arms forming a “V”. 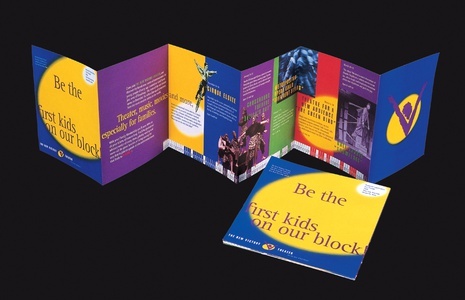 The spotlight also illuminates words, messages and images in print pieces.Graphics were applied to printed and promotional items, as well as to show tickets, advertisements, clothing, fund raising materials, web applications, and stationery, all evoking the singular dynamism of Times Square.